College is its own adventure, but sometimes you need to see something beyond the whiteboards and the same four walls. (And term papers. And calculus.) Get out of town – and the country – with StudentUniverse. With deals on hotels, flights, and tours, they can get you where you want to be. Which may be just about anywhere except where you are right now. How much is the StudentUniverse discount? 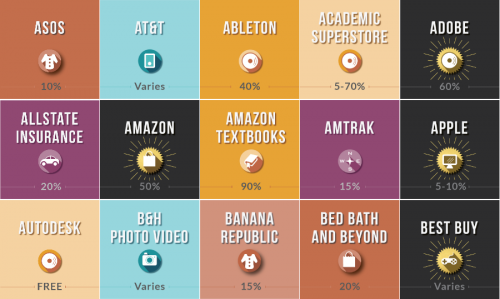 Discounts vary, but StudentUniverse does the legwork for you. They negotiate directly with airlines and hotels to get exclusive deals for those age 18-25. This niche group has the freedom to travel, but not always a lot of money to do it. This gives organizations like StudentUniverse the leverage to negotiate great rates. They also offer travel insurance, so if something goes wrong, you’re covered. How to qualify for StudentUniverse pricing? StudentUniverse is a membership, but it is entirely free. Like some travel agents, they likely get paid by the airlines and hotels they work with. In fact, there are over 220 StudentUniverse partners. They will verify your student status, which is typically an “automatic” process. However, they may ask for a class schedule or a copy of your student ID. Which is a small price to pay for a cheap trip to Belize.